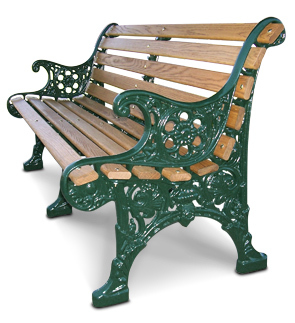 This Renaissance Style wooden bench is constructed with a cast aluminum frame and the seat and back are crafted with 2-1/2" x 3/4" white oak planks. 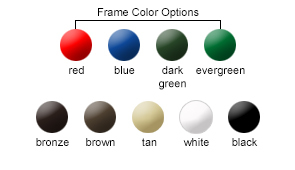 The electro static powder-coated frame is available in the color options shown. The intricate detailed design of the cast aluminum frame and the gorgeous white oak is sure to look sharp anywhere. Wood rails are finished with Duckback Superdeck® finishing oil which can reduce maintenance time, protects from UV rays and extends the life of the wood. Bench measures 32"H x 26"W with a 15-3/4" seat height.